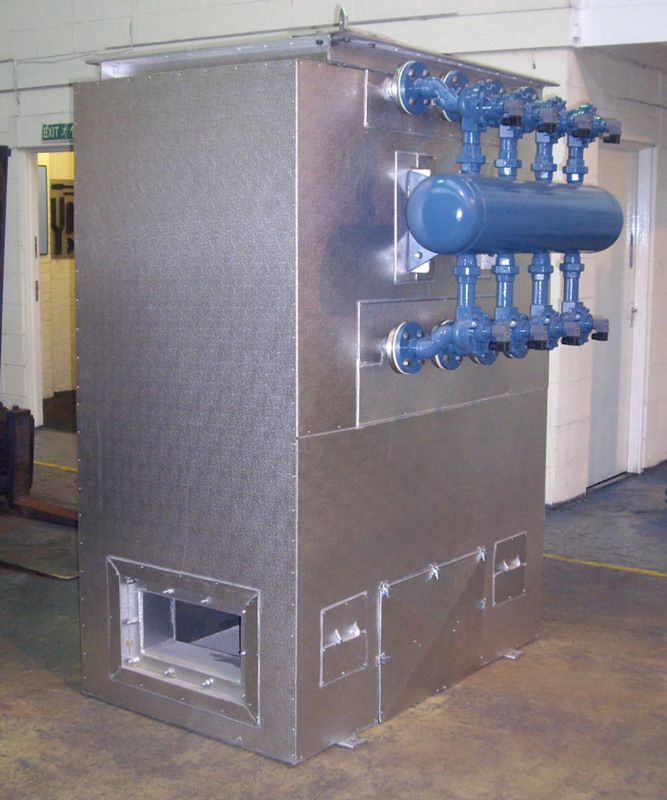 The gas cooler transfers the heat from the exhaust gases into thermal oil, which is then pumped to an air or heat recovery unit or to an air blast cooler where the hot air is discharged to atmosphere. Dirty gases are accommodated by using the integral soot blowers. The cooled oil is then returned to the gas cooling system in a closed loop “run-around” system.